Lockable in room storage, bed and pillow very comfortable, shared kitchen and free tea. Very convenient location, and the shower was unexpectedly good. The place was very quiet which is great for a hostel in my opinion. 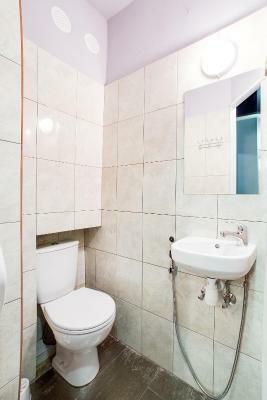 Location was good, close to Metro, train and bus stations. The location is the only thing that makes this hostel favourable. The receptionist was nice! It's very close to the train station and it's very easy to get to the airport from there. They provide towels (but they're very small ;)) and a hairdryer, you can also wash your clothes there. The bed was comfortable. The rooms were clean. It was easy to find. The receptionist was competent and kind. Very good localization, very close to train, metro and bus station. Cheap, clean. I was here only few hours, because my train was at 5, i don't have almost any objections about this hostel. The hostel is very near to the Train station for international trains like to Poland, which made it easy for me to reach the hostel even in the night by a short 10-minute-walk. The hostel is a small one, means, there are only 3 or 4 rooms with each around 6 sleeping places. That means that there it is not so loud. The kitchen is big enough for cooking and has plates, forks, knifes etc. There is also a kind of living room with a tv also with a CNN-channel. The cupboards are big enough for a big backpack with around 60 liter, means they are great! The main door is regulated at the reception and one doesn't need to take an own key, which could get lost when you are visting or outside the hostel in general. The location. It is close to central railway station and the city center. A quiet neighborhood. 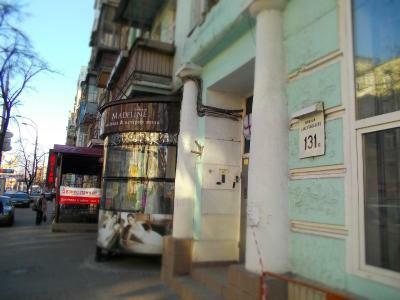 This hostel is located in the center of Kiev, just a 7-minute walk from the central station. Free Wi-Fi and a 24-hour reception are featured at Night & Day Hostel. The bright rooms offer light-colored interiors and simple décor. The shared bathrooms are in the hallway. Guests can cook their meals in the shared fully equipped kitchen, complete with a dining area. A variety of cafés and restaurants can be found within a 5-minute walk from the hostel. The central Khreschatyk Street is 1.2 mi away, and the Fomina Botanical Garden is a 5-minute walk from the hostel. Vokzalna Metro Station is a 7-minute walk from Night & Day Hostel. Boryspil International Airport is 24 mi away. 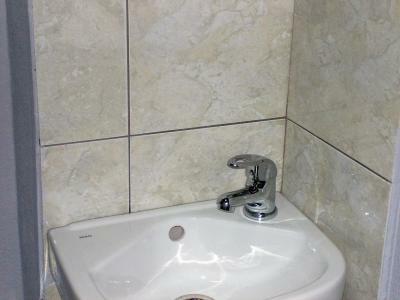 뀐 Located in the top-rated area in Kiev, this property has an excellent location score of 8.2! When would you like to stay at Night & Day Hostel? Bright dormitory room with individual lockers. Area Info – This neighborhood is a great choice for travelers interested in walking, history and architecture – Check location Great location - show map Guests loved walking around the neighborhood! House Rules Night & Day Hostel takes special requests – add in the next step! Night &amp; Day Hostel accepts these cards and reserves the right to temporarily hold an amount prior to arrival. Night & Day Hostel accepts these cards and reserves the right to temporarily hold an amount prior to arrival. Underage guests are not allowed to stay in the dorms without adult supervisors. Please inform Night & Day Hostel in advance of your expected arrival time. You can use the Special Requests box when booking, or contact the property directly with the contact details provided in your confirmation. Hostel is located on the ground floor in the building. Entrance code 1B, from the street. Guests are required to present their photo ID (passport, driver license, etc) upon check-in. Please note that smoking and alcohol consumption is prohibited at the property. Guests are kindly requested not to make noise after 22:00. Please inform Night & Day Hostel of your expected arrival time in advance. You can use the Special Requests box when booking, or contact the property directly using the contact details in your confirmation. Front door access was restricted at times and the staff spoke only Russian. The smell is awful. The bunkbeds were awful. I could feel every movement of my bed-neighbour under me. The upper mattresses were double thick as the downs and i was sinking deep in the bed. It's not healthy at all! Anyway the whole hostel is a big excuse as i see. The owner probably will not invest in the property in the near future. I hope i'm wrong!. There are no signs on the door and it’s impossible to find the door inside the building. The extremely arrogant and unpleasant staff. I informed the hostel in advance that i would have checked-in in the middle of the night and i got an answer saying there was no problem about it. Well the reality was quite different. I rang many times at the building door gently asking which door was the right one inside the building and i never got an answer. After checking all doors (almost 5 floors) i tried to rang at the first one. Well this guy came and opened the door shouting at me and saying I should have tried at least to push the door. Than he went to the ‘reception desk’ and looked at me very angrily saying ‘i am listening to you’. So i was a little astonished because of his attitude and I simply said ‘i made a booking here for tonight’. The really sarcastic answer i got was ‘well if you don’t tell me your name I cannot guess it as i am not a mind reader’. This is really ridiculous. I do not understand how people like this can work for customer service. Unbelievable. Moreover the hostel is really dirty(both the kitchen and toilet). No value for money at all both for building and staff. I would have rather slept in the train station. Be aware, together with the administrator, cockroaches will meet you at the place! No doubt, cleanliness must be way better there. There was cockroachs in the kitchen. The bedding was dirty and wasn't changed. The staff went through my luggage to retrieve the toothpaste I borrowed as the airport had lost my luggage. The room was loud and dirty. Absolutely disgusting. Never stay here. The staff was rude and when I was getting dressed the women who worked there wouldn't leave the room and give me privacy. Personally I think you would be a fool to stay here. Only one shower, and problems with hot water. The Entrance is shabby but inside is fine. 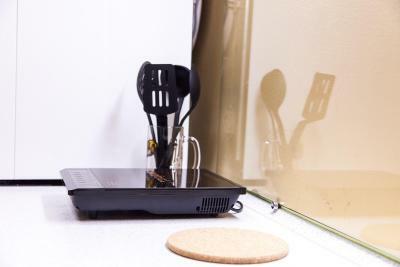 Occasionally a mosquito would fly in the window and bite me in my sleep, there are bugs in the kitchen but it's tolerable. No A/C.